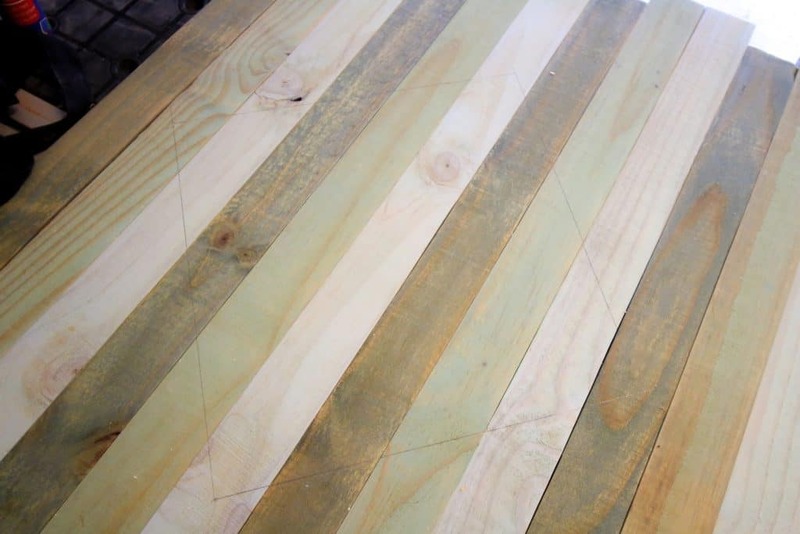 If you do woodworking projects, you’ll always have tons of scrap wood lying around. I try to find little things to make with my scrap wood so it doesn’t go to waste. I made this scrap wood art piece for my mom and really liked how you can take scrap wood and turn it into something that looks really nice. 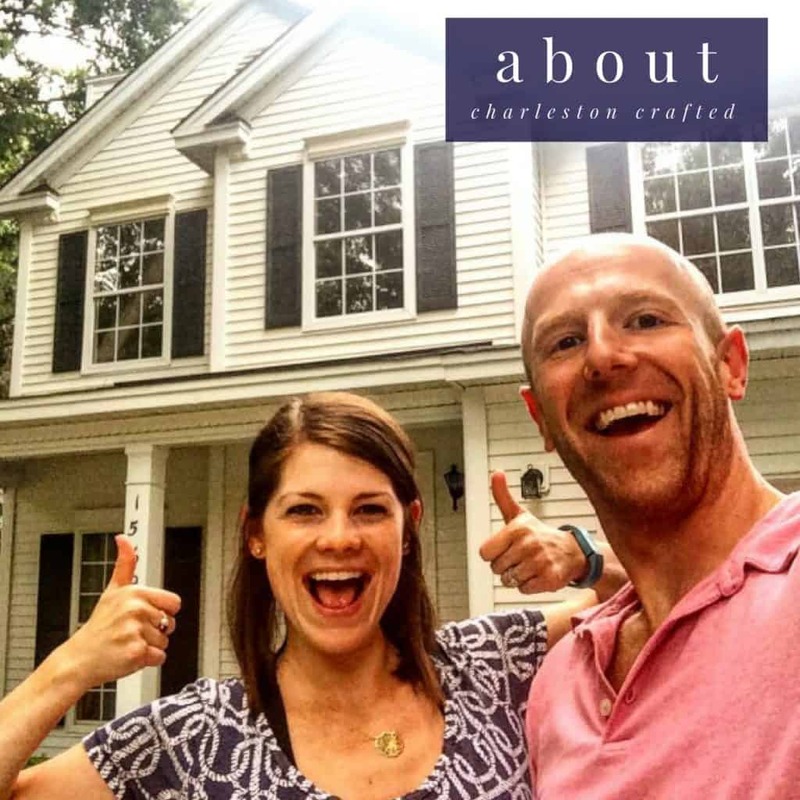 I started by cutting down some 1/2″x6″ boards into 2″ widths and sanding them down. 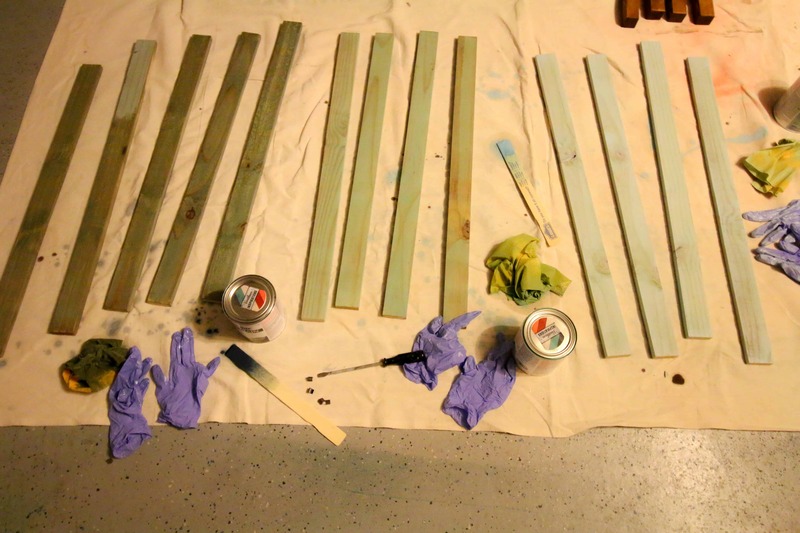 Then, I stained a third of the boards with three different colors. I wanted to have a repeating hombre pattern. 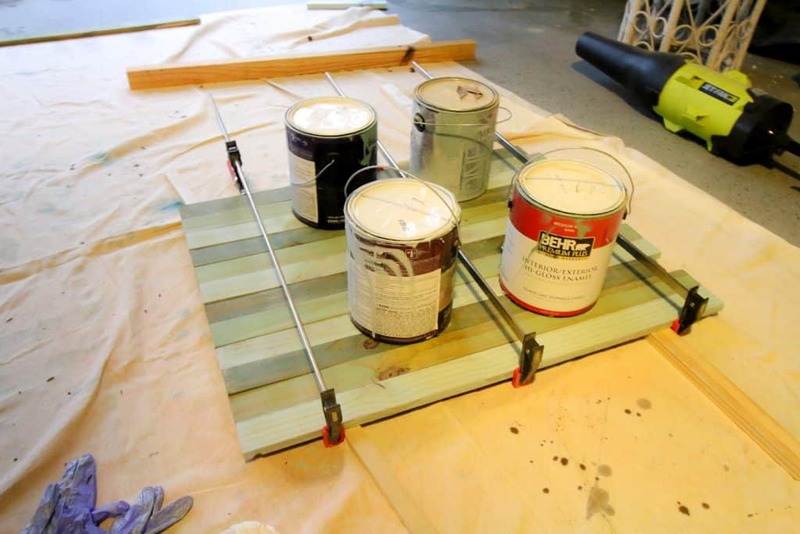 Recently, Rust-Oleum sent us a few of their Varathane colored stains to try out. I hadn’t previously used any colors besides variations of natural wood colors and this was the perfect opportunity to test out some new options. 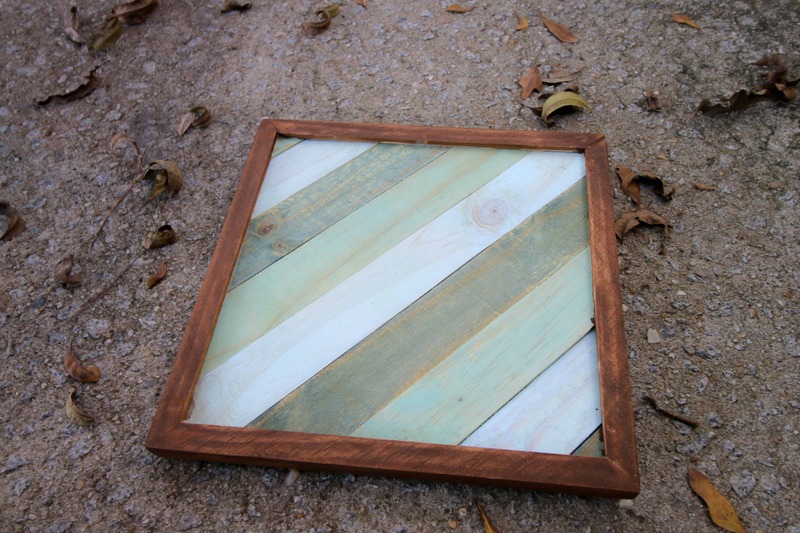 I used Varathane’s Bleached Blue, Vintage Aqua and Worn Navy for this scrap wood art. All three colors were distinctly different and would look great together. After all the stains were dried, I glued up the boards and clamped them together. When dry, I drew a 12″x12″ square on the boards to cut out. I opted to draw the square at an angle so the boards would be diagonal, but I could have gone horizontal as well. Once done, I trimmed off some other pieces of wood to frame the edges. I cut the ends at a 45 degree miter and routed out the inside so that the frame would sit around the edge on both sides. For the frame, I used Varathane Early American to make a distinct color difference, like in my wooden name puzzle and slatted plant stand. 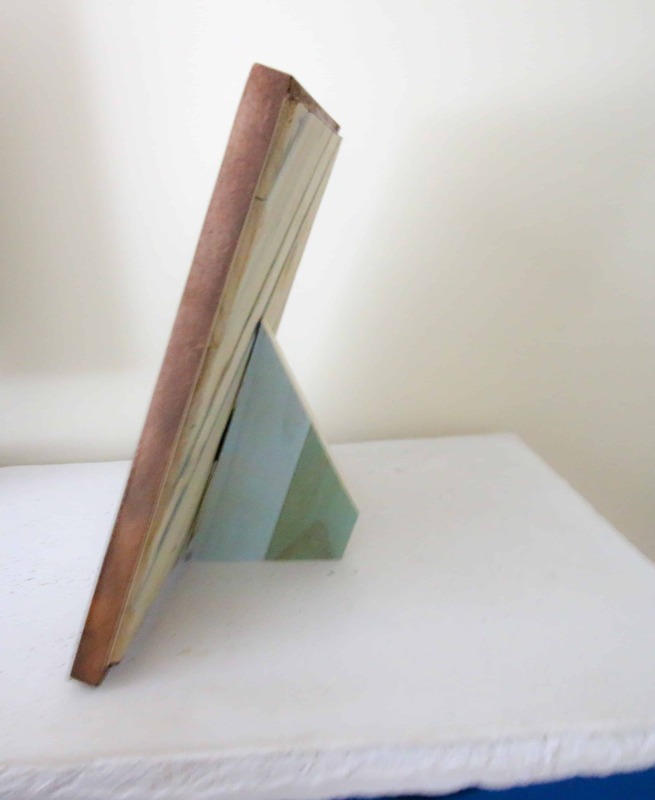 Finally, I used a scrap from the cut off pieces and added a hinge so the art would stand up. The last thing to do was to personalize it. 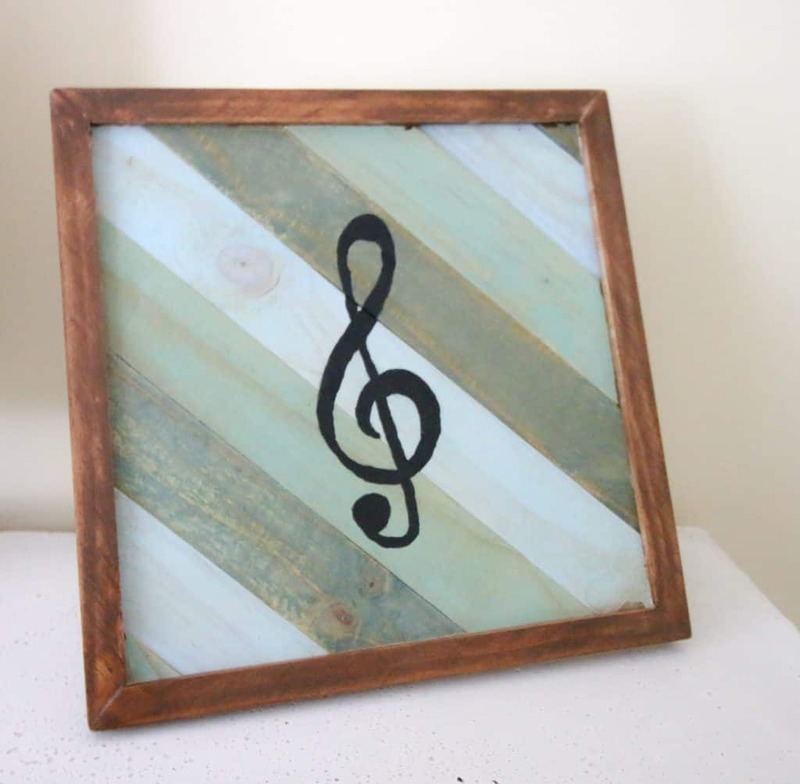 This was a gift for my mom, and she loves music. So I painted on a treble clef in the center to give it a personal touch. I really like how this scrap wood art turned out. There are a lot of ways to go with something like this, including different colors or patterns. I enjoy making projects out of scrap wood because it makes them free, environmentally sustainable, and reduces my pile.